Part of the fun of being a fan of a particular film franchise is being able to dig up old information and advertising about the films from decades past that can sometimes rekindle enthusiasm of one's fandom. Friday The 13th fans can find lots of imagery that assist with their unwavering dedication to the films and maintain the excitement for many years to come. One of the great hobbies within the Friday community is locating old home video formats from around the world to see how different countries represented the film franchise. 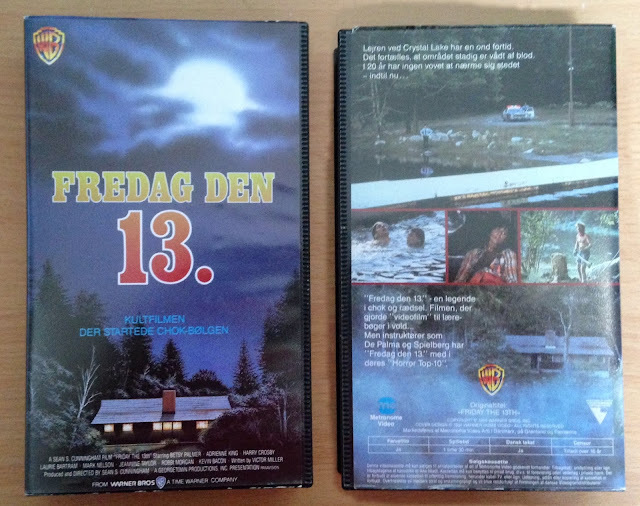 Most of the VHS covers have the main title listed as "Fredag Den 13", which of course in English is "Friday The 13th". For Friday The 13th Part 2, the box cover simply has the title "Øhsemorderen" for which we we told has an English translation of "The Axe Murderer". 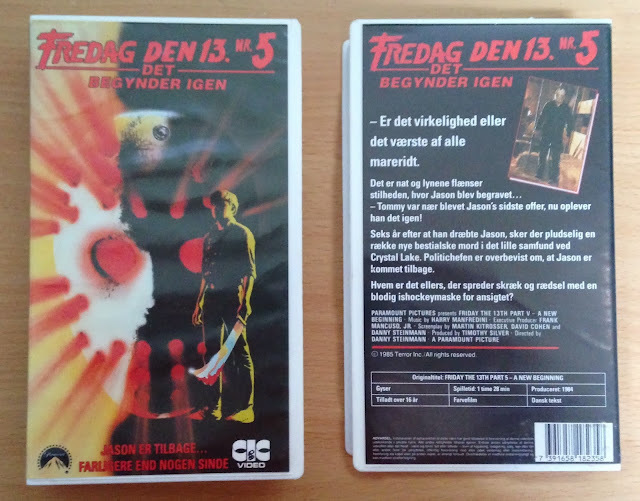 For Friday The 13th: A New Beginning, the subtitle on the Danish box cover reads "Det Begynder Igen", and depending how it is used in a sentence, the English translation is either "It will start again" or "It Begins Again". 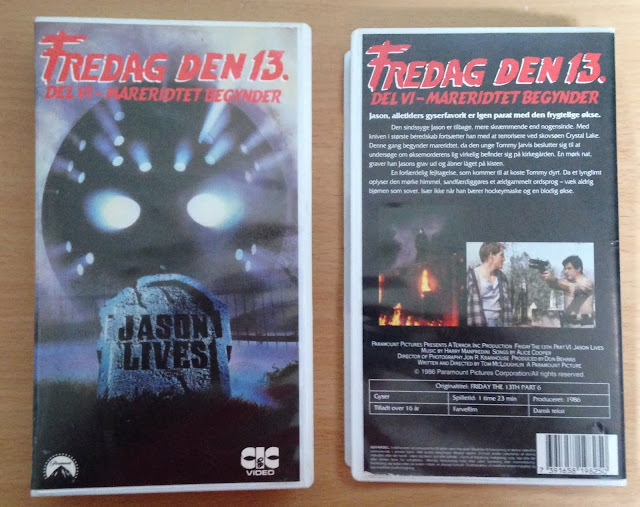 Finally, the subtitle for Jason Lives: Friday The 13th Part 6 reads "Del VI Mareridtet Begynder" which translates in English to "Part VI The Nightmare Begins". We hope everyone enjoys seeing these Danish video releases from decades past. Please let us know what other items of Friday The 13th you would like to see featured on our website!